Hey Genetti cousins – if you’re looking for special Christmas gifts for the family this year, we have a number of great suggestions. First, let me tell you that our fine art publisher, RedBubble, is having another private sale just for the Genetti Family. Want to give an original Genetti family tree to your children or how about a beautiful heritage print of our Coat-of-Arms? Now is the time to make this purchase! Starting today and running until midnight, Tuesday – November 1st, RedBubble will take 20% off of your entire order! That’s a whole lot of savings! 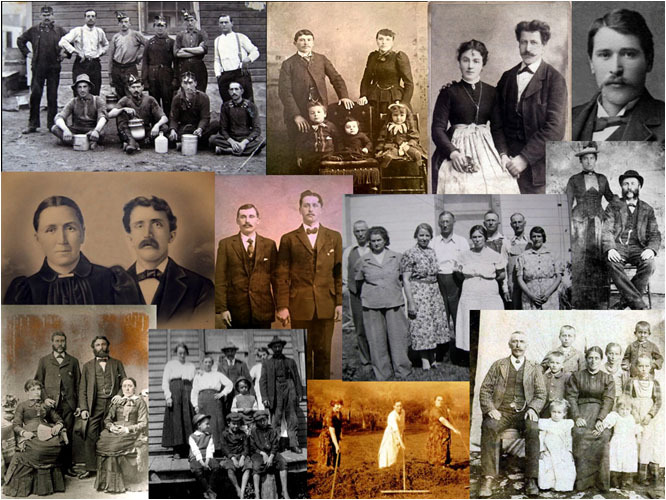 If you purchase a large poster print (44″x33″) of the Genetti Family Tree, the regular price is $34.98. With your family discount, it costs only $27.98 if purchased by this Tuesday! To receive your discount, at check-out use your private coupon code: draw-GenettiFamily. Click here to shop for Genetti Family Tree Prints! Framed prints of homestead Fresco and carved Genetti coat-of-arms. Special Note to buyers: As specified on our Shop page and in the artist notes for this product: we highly recommend that you purchase family tree prints only in extra-large print sizes or large poster sizes. There are over 200 ancestor names on this tree and you may not be able to read the text if printed smaller than 24″ x 18″. Please scroll down the shop page (click here) to find all print products offered for the Genetti Family Tree. Use the drop-down arrow on each item to select size (all prints are available in small sizes – unfortunately I cannot disable these sizes – so it is up to you to select a larger size appropriate for this detailed print). This sale also extends to our other fine art prints of the Genetti Coat-of-Arms and the beautiful fresco pictured on the Genetti homestead located in Castelfondo, Italy. Click here to shop Genetti Fine Art Prints – and make sure you use your private coupon code (draw-GenettiFamily) at check-out to receive 20% off – offer expires: Tuesday, Nov. 1, at midnight! Next on our Christmas wish list is a beautiful bowl, created by master glass artist Gary Genetti. Gary’s exquisite hand-blown art glass creations may be out of reach for many, but did you know that he has a very affordable option to his gallery pieces? “Junkyard Glass” is a unique line that turns trash into treasure! Here is the product description for Junkyard Glass: “This upcycled glass bowl represents a story both personal and of broad cultural/environmental impact. Born in the junkyard, the original idea was a healing activity for my family and I. It has found an appeal not only as a friendly product but as a metaphor for resilience and healing trauma through creativity. It is a combination of beauty, practicality and environmental sensitivity that reminds us of a new attitude toward consumption, making and sustainability.” Beginning November 1st and running until November 8th, Junkyard Glass will be part of Amazon Launchpad Startup Week (click here to read more). If you are an Amazon Prime Member, receive a 20% discount and free shipping on all Junkyard Glass purchases during Nov. 1st-8th. To purchase a Junkyard Glass bowl at Amazon.com, click here! Also – checkout Gary’s website at: http://genettiglass.com/. FYI – I purchased a Junkyard Glass bowl during Gary’s Kickstarter campaign several years ago. Absolutely love my bowl for its usefulness, durability and beauty. Thanks Gary! And finally, would you like to give a piece of Genetti history to your children or grandchildren? Now you can! Our evening presentation, “The Genetti Family of Castelfondo: Our Journey to America”, will soon be available as a professionally edited DVD. If you missed the reunion or would like a unique Christmas gift, this DVD is the perfect solution! Bill Genetti is currently taking orders, but hurry because quantities are limited. Please send a check for $15 (includes shipping) addressed to: William Genetti, 1345 N. Church St., Hazle Township, PA 18202. Have questions, contact Bill at: wegenetti@gmail.com. I hope this blog post has your creative juices flowing! Why give socks or a tie, when you can give a token of your family heritage! Plus remember to visit our online Genetti Family Shop for unique glassware, T-shirts, books on the Tyrolean culture and other cool stuff! Ho, ho, ho – Christmas is just around the corner! Click here to visit the Genetti Family Shop.